We stayed at Casa Soledad in early February 2015. It was heavenly. We have 2 small children, ages 11 and 7 and they absolutely fell in love with the place. The pool was the perfect size for them and being so close to the beach they took advantage of that also. We went to one of the palapa restaurants on the beach below and spent most of the day there just eating and playing in the ocean. The owner of the restaurant was really nice and asked us several times how we were doing and if we needed anything. The seafood is fresh out of the sea, a few hours old and WONDERFUL. Platanitos is a friendly little beach town and a nice change from the large touristy Puerto Vallarta area. 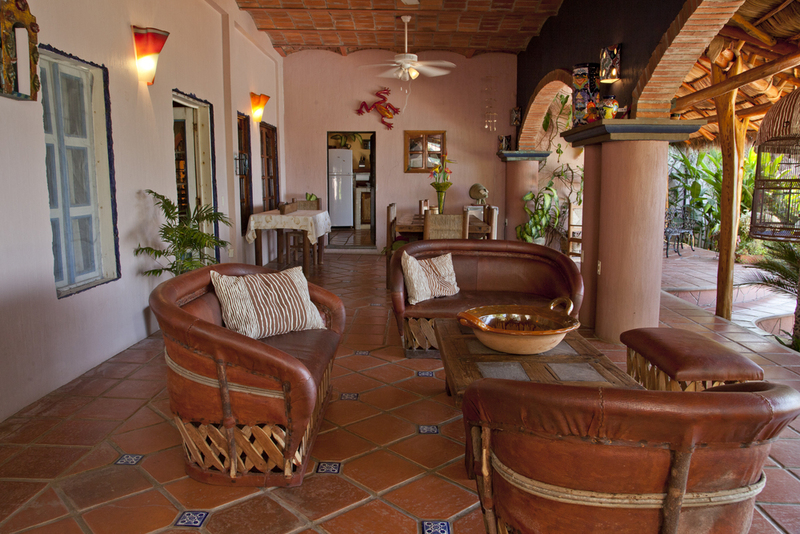 Casa Soledad is very comfortable and makes you feel like you are in paradise. It has many special touches that make it feel like home. The décor is OUTSTANDING and it is a beautiful place to stay. There is an outdoor eating area that overlooks the pool and really makes for a nice area where multiple activities can go on at the same time but the family can all be together still. The kids can be playing in the pool while my wife and I enjoy a margarita or cerveza overlooking the ocean, yet still keeping a close eye on the kids. My wife and I would watch the sunset every night and that was a perfect romantic ending to a perfect day. The staff at Casa Soledad are very friendly and attentive. Everyday upon returning from our travels everything was clean and put away and ready to be used again. We didn’t have to give anything a second thought, just be there in the warm Mexican air and enjoy our vacation together. Everything was taken care of and all our needs were met without even asking. I highly recommend Casa Soledad to anyone thinking of visiting Mexico if you want a great vacation and a view that can’t be beat. We hope to return VERY soon.